General™ 4 1000 Ride Command Edition Black Pearl. This rack was specifically designed for the Polaris General™ for the Polaris RZR as a General-Purpose Rack (GP). The GP rack is made from 1.5” diameter steel tubing and is powder coated black. For those who want to paint your rack, we also offer a bare metal version. The GP rack has our “It Fits” ™ Mounting plates so you can easily bolt on other “It Fits” ™ RBO Accessories. 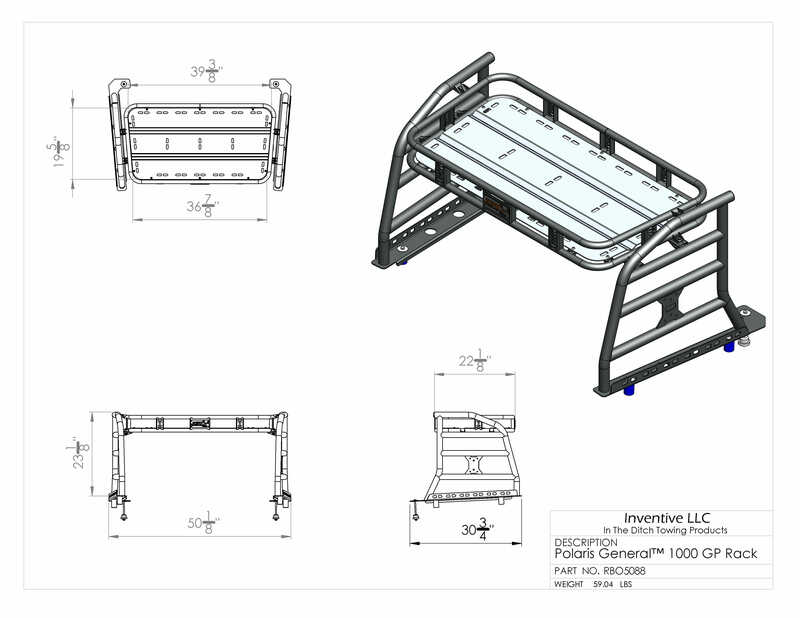 We know how important the right tie down locations can be so we went all out providing tie-down locations throughout the bottom and sides of the rack as well as an integrated Bed Railing with Tie-Downs points built in.The GP rack works with your factory dump bed so you still maintain the full functionality of your bed. We partnered with GripPRO ATV Anchors as well to bring you a rack that is easy to remove or install in a matter of minutes, so you can quickly change to suit your needs for the day. There is no need to modify anything on your Polaris General™, and you only need basic hand tool for a fast easy install. 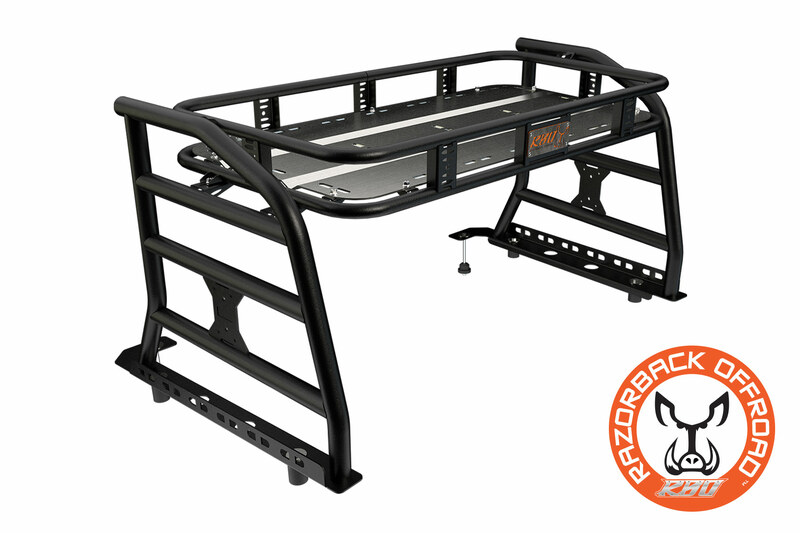 The RBO Polaris General™ GP Rack is made here in Idaho with a lot of pride and effort. Thanks RazorBack Offroad for making a product that should hold up to the tough conditions we put our machine through will riding and hunting. The quality is top notch. Installation was a breeze. The extra gas and water mounts fit perfect and are also great quality. You can tell they did their homework with what UTV owners need out on the trail. Plus I love the fact it’s made right here in Idaho. Very easy to work with. Very well made product! Thanks so much! The fit and finish are first rate, easy install and very versatile. Thank you again!